The Summit, which brought together people from different social segments from over 50 countries, focused on recommendations for a solution to economic inequalities — an issue of high priority for NGOs. In her opening speech, President Gülay Barbarosoğlu stated that establishing social, cultural and ecological values and sharing them with societies by democratic means was of utmost importance for a better world. 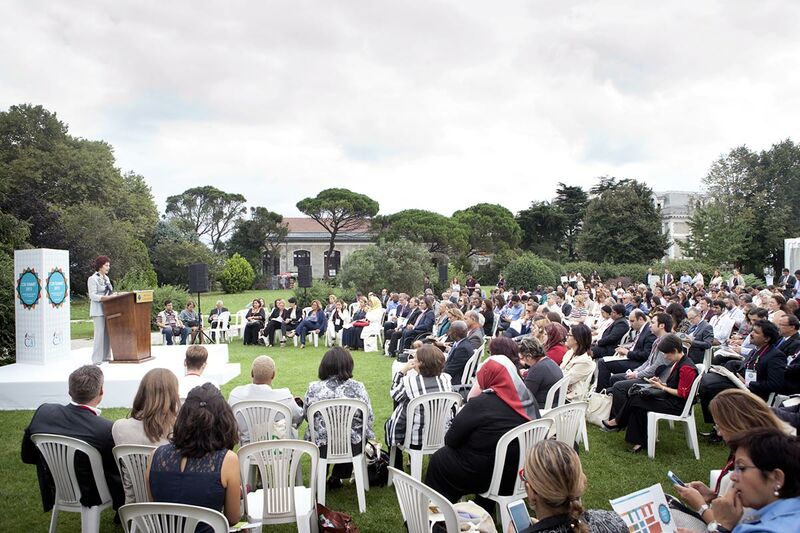 Underlining Boğaziçi University’s efforts to contribute to the establishment and distribution of such values, Barbarosoğlu said that organizations whose objectives are similar to those of the C20 were of vital importance for the university. Barbarosoğlu said, “Economic value or welfare is not enough by itself. We have observed that mechanisms, strategies and institutions that do not take into account problems related to gender, human rights, and social exclusion fail in their efforts to establish sustainable economic development and financial stability, requirements of world peace and welfare for today and the future. The way to a sustainable future for all of us lies in the creation of a perspective that can integrate social wisdom with scientific wisdom and its translation into policies. At that point, civil society’s role is crucial.” Barbarosoğlu added that the transnational integration and globalization process that has been going on for decades has led to problems such as financial crises, natural disasters, armed conflicts and refugee crises that affect the whole world. Barbarosoğlu also emphasized the fact that any mechanism or policy that ignored challenges related to social gender, human rights, social exclusion and the environment would fail to achieve the sustainable economic growth and financial stability needed for world peace and welfare. In that context, she pointed to the importance of civil society in policy making and producing knowledge. Zeynep Bodur Okyay, C20 Turkey Chairperson, stated in her speech that one of the outstanding attributes of the C20 Platform was its ability to convene at the global level for a common objective and to represent a truly international initiative. She added that the C20 Summit 2015 would make a difference not only with its participant profile, but also with its program, which reflects the experiences gained at previous C20 summits. The C20 became recognized as an official participation group of the G20 in 2013, during Russia’s G20 Presidency. This year, under Turkey’s G20 Presidency, Non-Governmental Organizations in Turkey undertook the organization of the C20 Summit 2015. The C20 is an international platform that seeks to deliver the views and recommendations of NGOs concerning the topics and discussions on the global economy agenda to leaders of G20 countries. It is one of the six formal engagement groups of the G20. Zeynep Bodur Okyay, Vice President of IKV (Economic Development Foundation), has been serving as this year’s C20 Turkey Steering Committee Chairperson since June. Members of the C20 include TUSEV (Third Sector Foundation of Turkey), IKV (Economic Development Foundation), Oxfam International -Turkey, WWF-Turkey, KAGIDER (Women Entrepreneurs Association of Turkey), TEGV (Educational Volunteers Foundation of Turkey), International Transparency Association, Turkey - Europe Foundation, Habitat Center for Development and Governance -Turkey, KEDV (The Foundation for the Support of Women’s Work), Turkish Confederation of Persons with Disabilities, as well as AÇEV and TEMA Foundations as observers.